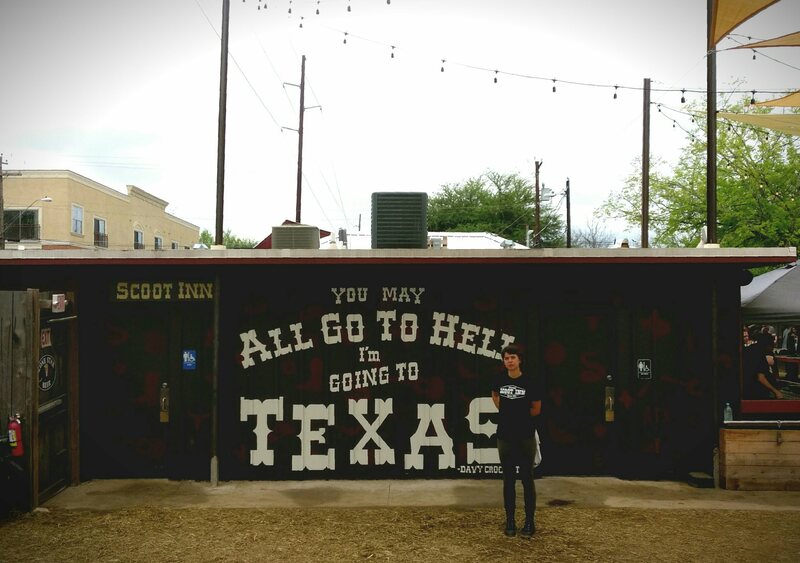 Brian Petit – a reader from the US – got in touch about writing a piece regarding his experiences at SXSW, a music festival of sorts that happens in Textas, which is great to read about from a Test Pressing lean. Brian is a a would-be writer, sometime delivery driver, and (very) occasional DJ living in Austin, Texas. Here we go and over to Brian. I’m a would-be writer, sometime delivery driver, and very occasional DJ living in Austin, Texas. I don’t remember the exact path to Test Pressing; I found the site during explorations of the intriguingly hard-to-define Balearic sound. 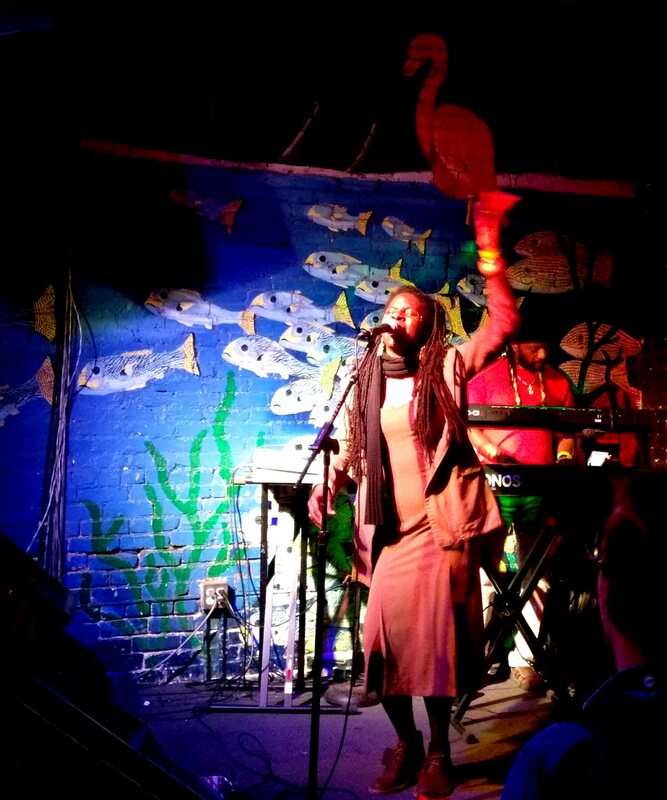 On a Friday night in March, Jah9 climbed the stage at the Flamingo Cantina wearing a long skirt and desert boots. A man in red stepped behind the keyboards and I looked around for the rest of the band. Jah9 is a Jamaican singer and her recorded material matches her rich voice with sparse, dubby reggae. It’s a resonant combination and her inclusion in the Reggae Revival showcase during this year’s South by Southwest festival made the event an easy add to my schedule. 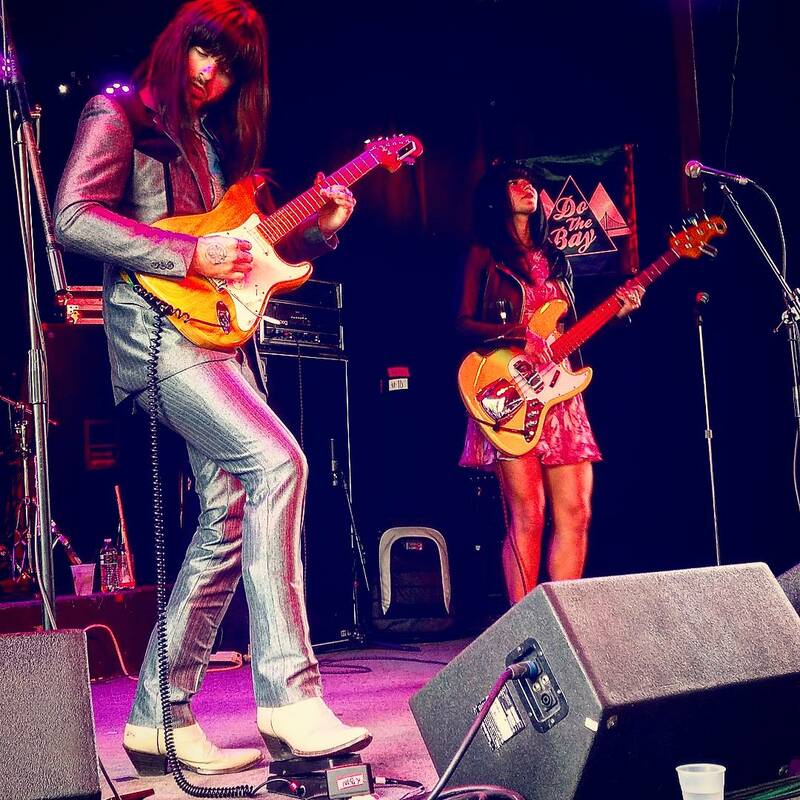 The gravitational force of SXSW draws thousands of artists and music fans to Austin, Texas each spring. The festival has evolved since its inception in 1987 and not everyone is pleased with the contemporary version. It can be crowded and commercial; music is often the least of the products being hawked. Still, the massive event creates space for a wide range of musical styles, and I find moments of joy and discovery each year. It helps that my tastes usually lead to underhyped sets away from long lines and marketing traps. Since set times are preannounced and usually adhered to, a prebuilt schedule can guide a listener through a week of tasty and never-to-be-repeated musical juxtapositions. 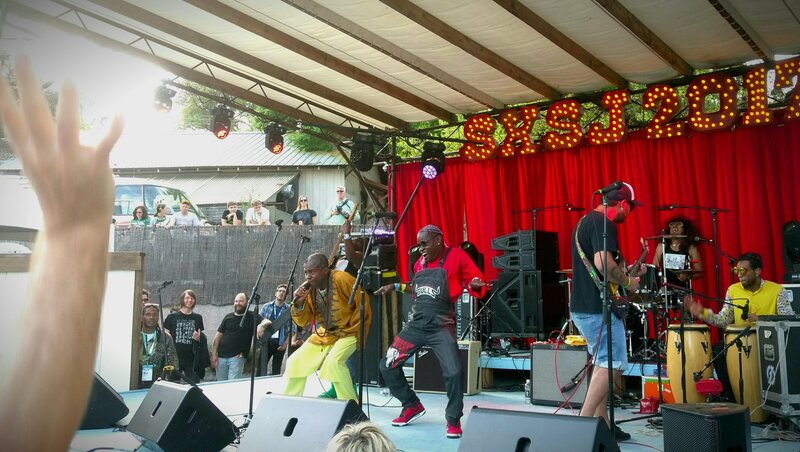 Showcases highlighting reggae are a newer addition to SXSW’s stylistic universe. Interestingly, Jah9’s set during the Reggae Revival offered its own expansion of the genre’s typical sonics. The rest of her band didn’t materialize that night at the Flamingo and the duo format allowed her jazz leanings to emerge, rendering loose versions of songs like “Avocado.” Her easy confidence and smart lyrics entranced the respectfully hushed crowd. Drum and bass patterns made other appearances during the night to propel fellow performers Pentateuch Movement and Koro Fyah. Walshy Fire of Major Lazer arrived to spin an all reggae, no EDM set. 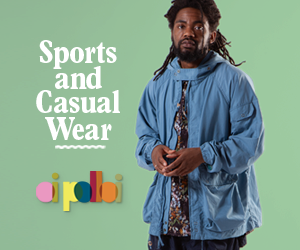 His stage banter and programming not only sought to ease the distinction between roots reggae and dancehall, but also between Jamaican and non-Jamaican artists. Tunes from Buju and Beres joined those from artists like California’s J Boog. It was an evangelical approach and well received by the diverse crowd. I spent most of the night parked at the Flamingo Cantina. Sometimes, however, a better strategy is to shoot around the city on bicycle and hit a variety of venues. I did this on Wednesday and was able to visit several distinct layers of the festival. I caught Houston’s The Tontons at a free, unofficial day show at The Hole in the Wall. The five-piece band’s soulful rock touches on eighties pop and seventies psychedelia. Next, I stopped by a DIY backyard show in East Austin, where I was amused to see vodka sponsorship for even that low key affair. Still, it was a break from downtown chaos and Austin’s Botany presented his sparkling, oceanic electronics over live drumming. 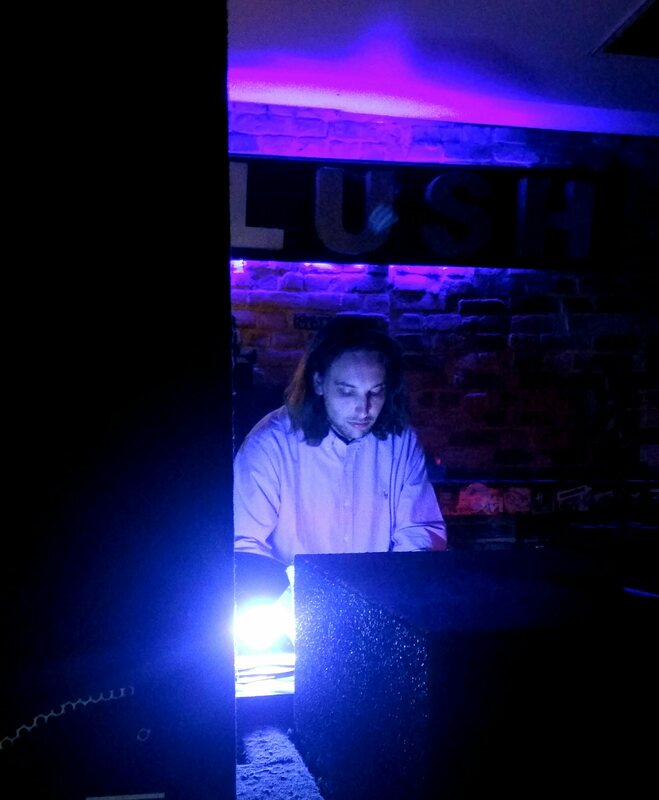 Later, I headed to a small bar to see Jameszoo open an official Dutch showcase. Showcases prioritize pricey badges and wristbands for entry, but civilians can usually pay a cover charge. I had no credentials and never spent more than $10 during the week. More than three quarters of my shows were free. I only knew Jameszoo’s music from the Fool album and expected playful, jazzy electronic. Instead, he played a straightforward DJ set that started the party in fine style. He spun R&B from Anderson .Paak and hop hop from J Dilla. He increased the tempo with muscular funk, Brazilian, and house. He dropped into halftime bass and trap rap from Young Thug. Starting with a sparse crowd, he handed over a full room to the next act. Another unexpected DJ set came from CFCF at the Ginger Man, one of Austin’s beer bars and a perennial SXSW refuge. I stopped in between bigger shows on Thursday expecting a pint and some restful ambient tones. Instead, the Canadian producer played an uptempo DJ set–including Bjork and Craig David tunes–whose soulfulness nonetheless provided a nice interlude. There was a Colombian showcase later that night and the lineup included champeta powerhouse Tribu Baharú. Champeta music is associated with Colombia’s Caribbean coast but has roots in Congolese soukous, which in turn has roots in Cuban son. It’s both niche-y and cosmopolitan, and provided a great additional texture to SXSW. Their guitarist played high, single-note lines and the bassist played ropey, active patterns. The drummer and percussionist snapped and popped the whole thing along. They generated a lot of energy utilizing just four instruments and two singers, whose onstage antics were irresistible even to people who’ve never heard of Barranquilla. It was fun watching them play multiple sets during the festival to unsuspecting crowds. I also caught several sets from funky trio Khruangbin. The highlight was probably their afternoon show at the Sidewinder. Everything was clicking: the sound engineering was crisp, they played well, and exuberant fans were in attendance. The subtle beauty of the music planted beaming smiles on several faces in the crowd, including mine. Songs like “Two Fish and an Elephant” and “People Everywhere (Still Alive)” got big cheers. I recommended Khruangbin to a lot of friends that week and, in doing so, had a hard time describing their sound. I’m beginning to recognize this as a sign of good music. I first heard Yonatan Gat and his band at last year’s festival, and they also defy easy categorization. I raced across town to catch their set on Friday evening, which was played in the dusty backyard of an East Side bar. It was the golden hour and their gear was on the ground instead of on stage. The trio faced each other and the crowd formed a tight circle around them. I never saw another setup like that. Their music shifts between moments of chaos and calm, with drastic tempo and rhythmic shifts within individual songs. It’s jazzy, reverby, Middle Eastern, punk and contains extensive improvisation. A number of bars bump their prices during SXSW and some people respond by planning their week around events with free food and drink. On Thursday, I went to the Scoot Inn on my only free beer mission, which enticed me to a surprising set from jazzy hip hop band Koi Child. The Australian group was selling vinyl and whatever I saved on booze was spent on a record that, unfortunately, didn’t survive the day spent in my backpack. It is now deeply cupped. I should have known better. My other record acquisition came from Seattle-based Mobile Vinyl Recorders. Their booth joined other vendors at one of the unofficial parties on the periphery of the festival. 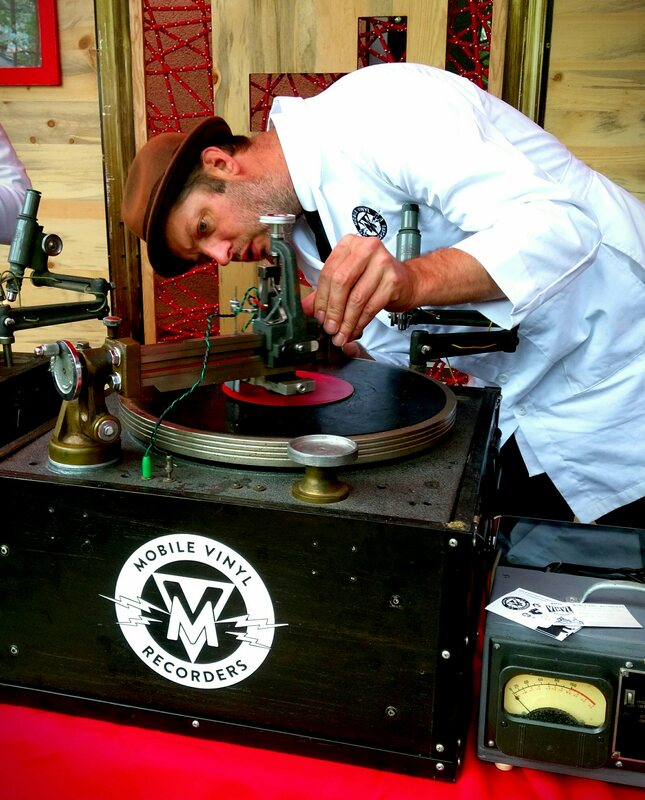 The two-man team was cutting dubplates on red plastic picnic plates trimmed to 7-inch size. There were a few tunes to choose from and I walked away with one from Modern English. The music portion of SXSW runs for about a week. It’s Austin’s version of a Pre-Lenten carnival and full participation can mean a long slog through a bacchanal of music, drink, and dance. I had that early festival spring in my step on a bright Monday when I started the week with a free show of mostly local acts. Third Root, a hip hop group with members from Austin and San Antonio, lyrically examined social tensions in the U.S. and their set was a grounding counterbalance to the excesses that would be available as the week progressed. Of course, SXSW cannot be separated from the society in which it takes place. The long-controversial issue of immigration has entered a period of particular dynamism in the U.S. and the tension reached the festival this year. Certain language around immigration in the performer contract troubled some people and several incidents with incoming foreign musicians indicated a tightened border. “Extreme vetting” resulted in artists including Henry Wu and his partner in Yussef Kamaal being denied entry to the country ahead of their SXSW performances. Members of United Vibrations were also turned back. The exciting prospect of hearing gauzy London soul in Central Texas died on the vine, a victim of politics. Music is a balm, though, and Hard Proof blasted the patio stage at Monday’s show with medicinal levels of instrumental Afrofunk. 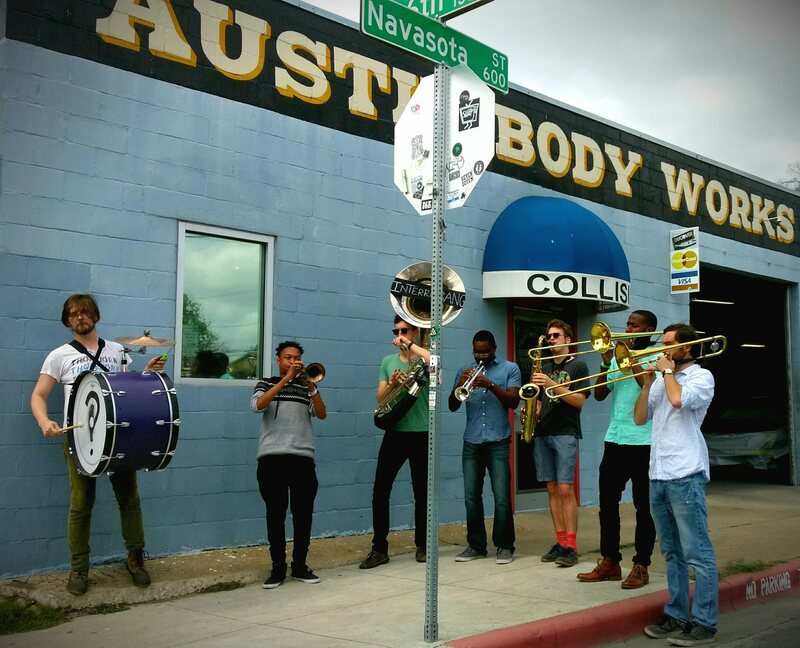 The Austin band channels Fela, to be sure, but also explores other motherland rhythms. Lately, even a touch of rock energy has entered their sound. It’s rich, joyful, polyrhythmic music and there are few other practitioners in this town. I ended the week with flagging energy on Saturday. I saw a local New Orleans-style brass band, took a breather at a friend’s house, and biked to a hotel parking lot party to catch Khruangbin and Cherry Glazerr. Day turned to night and my body and mind groaned under the accumulated weight of the week’s activities. By 11 p.m., my schedule was breaking down. I was losing focus. Red Light Radio’s Orpheu and the Mister Saturday Night guys were spinning a few blocks away. I completely forgot about the Stones Throw showcase. A good cumbia band would be playing later, somewhere on Congress Avenue. Instead, I surrendered to the flow and the last set I saw was from a group of Louisiana blues and zydeco musicians, with local guests sitting in. It was regionally appropriate, but a departure from my best laid plans. The streets thundered with a special menace after last call. Drunk people carried drunker friends down the sidewalk. Pedicab bells and police sirens and car horns demanded clear passage. By 3:30 a.m., I was ordering tacos from a trailer in the quiet northern reaches of the city. Tortillas would pave the way for the first steps back to a normal life. I had 51 weeks to recuperate before the happy, hectic universe of sound reassembled in Central Texas.